June was Stephen King Month…at least for me that is! Hello all! 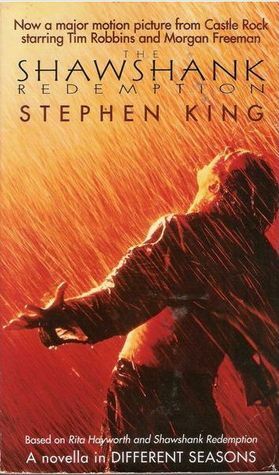 This past June, I really got into reading the great Stephen King. I was fortunate enough to win a copy of Bag of Bones from Rory over at Fourth Street Reviews for participating in King’s March. 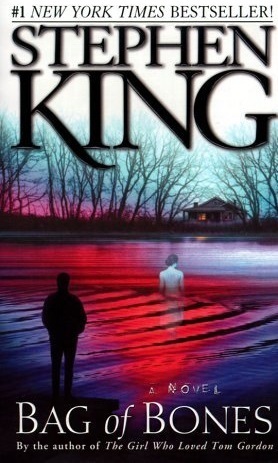 I then decided to tackle my first novella by King, and then timed it totally right to request Mr. Mercedes as soon as it was released from my library. So, I decided to wrap all this up in one mini review post. Thank you so much Rory! I don’t think this would have been on my radar, if it had not been recommend to me by you. I am continually surprised by how versatile a writer Mr. King is. I first read The Shining, which scared the life out of me. Next up was The Stand-so very different, but equally captivating. Now we have Mike Noonan, and his broken heart. Did Stephen King realize he was writing what is essentially a love story, albeit a haunted, spooky one? My heart broke with Mike’s grief for Jo, his dead wife. Don’t get me wrong-this is no fluffy love story. It is creepy, with lots of bad people, ghosts, and very strange going ons. But it is amazing how King shows grief, and live, through Mike. I loved this story, and want everyone to read it. 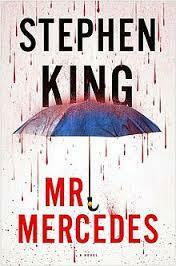 Mr. Mercedes is King’s newest novel, released just last month. This is the story of a man who ran into a line of people waiting to enter a job fair with a stolen mercedes, and Detective Hodges who recently retired, leaving this case open. When the killer contacts Hodges in hopes to drive him over the edge of despair, he piques the detectives interest too much, and pushed him back on the case. Part of the genius of King’s writing is the belief that evil, and evil people, are right there walking among us everyday, mostly without us knowing. A great story- definitely recommend reading this. If you saw the movie, you know the story- Andy Dufrene is sent to Shawshank prison for the murder of his wife and her lover. The story was good and well written, but-I am cringing when I write this- I liked the movie better. I think it is an amazing movie and I loved Tim Robbins and Morgan Freeman in it. It was slightly different from the book, and whenI read it, these differences bothered me- sort of like it usually bother me watching a movie after I read the book. It was a good story, but the movie tells Andy story more fully. “I guess I just miss my friend”. “Let me tell you something my friend. Hope is a dangerous thing. Hope can drive a man insane. This was one very creepy story and I did enjoy it. Todd Bowen, 12 years old, discovers that an old neighbor was a nazi commander at a concentration camp, and is now in hiding. He forces Mr. Dussander to tell him all he wants to know or he will expose him. Todd want to know everything that Dussander did or saw in the camps, in painful detail. This book has no sympathetic characters, and has been called “pure evil” by some. A wonderful, creepy tale about Davis, a middle aged lawyer who joins a gentleman’s club, where they enjoy brandy and tell stories- engraved on the fireplace is-“It is the tale, not he who tells it”. We learn the story of Miss Sandra Stanfield and her illegitimate child. A wonderful story- short and sweet. I’m so glad you liked Bag of Bones It’s the unknown King novel that I want everyone to read! I just finished Mr. Mercedes a week or so ago, and have been wondering what Stephen King book to start next, so your post gave me a great place to start! I actually think I already own Bag of Bones, so I might start there! It was so good- hope you like it! I really need to read Bag of Bones, and I just got my copy of Mr. Mercedes! I ‘m so glad you had a great King month. Thanks- hope you like them.